On Giving Tuesday (November 27), Lakehead University’s alumni and friends invested a record $63,001.10 to support the University’s students. Since first participating in 2016, Lakehead University’s Giving Tuesday initiatives have generated $162,215.10 for student financial aid. Debra Woods, President of the Alumni Association of Lakehead University, said she was extremely happy with this year’s success. A special thank you to the Alumni Association of Lakehead University, which matched the first $25,000 in gifts. Media: Jaclyn Bucik, Marketing & Communications Associate, at 705-330-4008, ext. 2014 or mediarelations@lakeheadu.ca. Lakehead University has approximately 9,700 full-time equivalent students and 2,000 faculty and staff in 10 faculties at two campuses in Orillia and Thunder Bay, Ontario. Lakehead is a fully comprehensive university: home to Ontario’s newest Faculty of Law in 44 years, the Northern Ontario School of Medicine, and faculties of Engineering, Business Administration, Health & Behavioural Sciences, Social Sciences & Humanities, Science & Environmental Studies, Natural Resources Management, Education, and Graduate Studies. 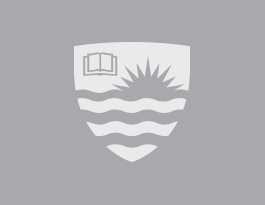 Maclean’s 2019 UniversityRankings place Lakehead University among Canada's Top 10 primarily undergraduate universities and in 2018 Research Infosource named Lakehead Research University of the Year in its category for the fourth consecutive year. Visit www.lakeheadu.ca.